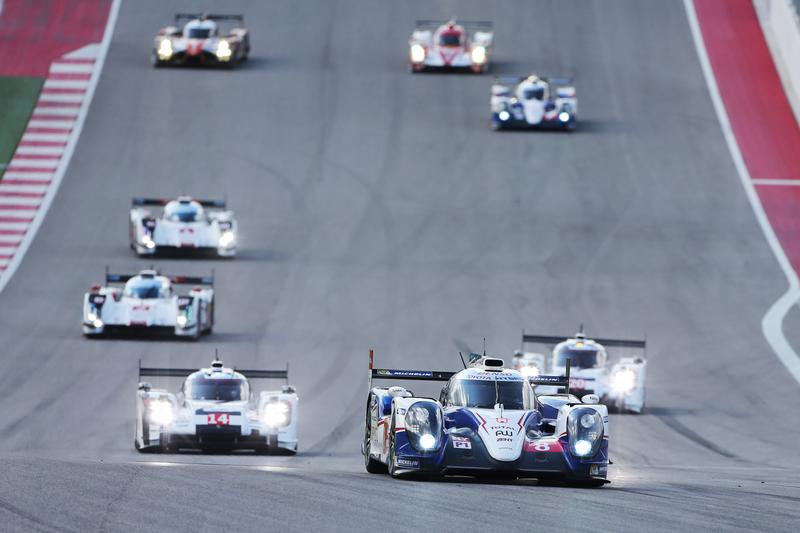 Toyota Racing experienced a dramatic and frustrating Six Hours of the Circuit of the Americas in Austin, Texas on Saturday, emerging with a hard-fought podium finish in a storm-lashed fourth round of the FIA World Endurance Championship. Heavy rain caused chaos early in the race and it required a superb recovery drive from the No8 Toyota TS040 Hybrid of Anthony Davidson, Nicolas Lapierre and Sébastian Buemi to claim third place and maintain the trio’s joint leadership of the drivers’ championship by an 11-point margin. Although the No7 car of Alex Wurz, Stéphane Sarrazin and Toyota Racing debutant Mike Conway finished sixth, Toyota relinquished its manufacturers’ title lead to Audi, which now heads the table by 16 points at the season’s half-way point. The race began promisingly for Toyota Racing, with Buemi starting from pole position in the No8 car. He established a substantial lead early on, while Wurz brought the No8 car up into second. 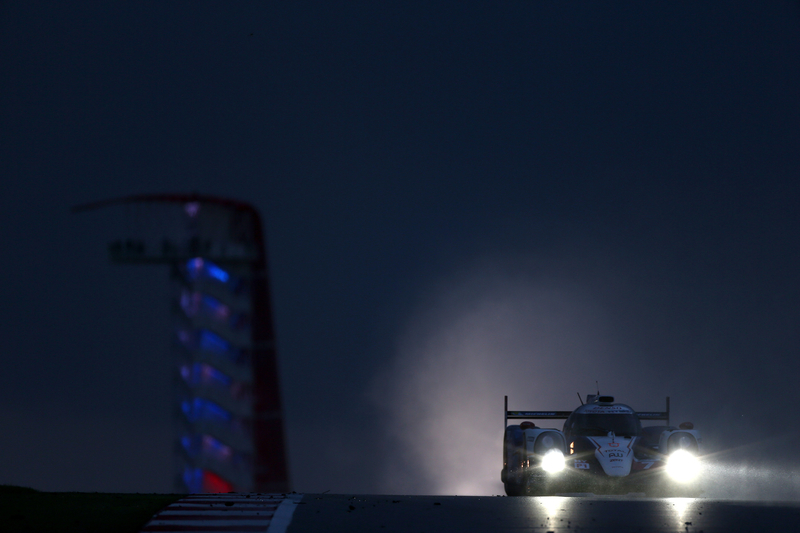 After a driver change near the first hour mark, a torrential downpour hit the circuit. Both Toyotas, running on slick tyres, aquaplaned off the track, the No8 car becoming stuck in a gravel trap. The race was red-flagged and after a delay of nearly an hour the restart saw Lapierre in fourth and Conway in seventh, both cars having lost a lap to the field. Undaunted, Lapierre and Davidson led the fight-back with Buemi putting in a series of quick laps, including the fastest of the race, to claim third place at the chequered flag – a result that had looked highly unlikely a few hours earlier. Toyota Racing will seek to recover the winning habit in the next round of the series, the Six Hours of Fuji – the team’s “home” event” – in Japan on 12 October.